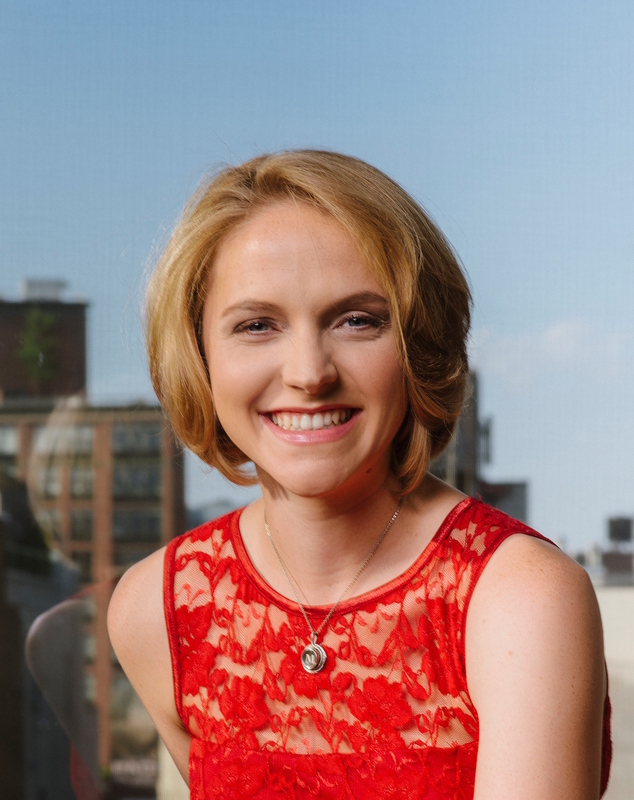 Mary Pilon spent several years reporting on finance for the Wall Street Journal, and several more reporting on sports for The New York Times. In her first book, The Monopolists: Obsession, Fury, and the Scandal Behind the World’s Favorite Board Game, Pilon debunks the myth—long perpetuated by Parker Brothers—that Monopoly was invented by a man named Charles Darrow during the Great Depression. Really, three decades prior, a woman named Lizzie Magie had created The Landlord’s Game, an obvious ancestor. A surprising twist: Lizzie’s game included a set of rules that was anti-monopoly, in which the object was to spread wealth around. In the 1970s, a professor named Ralph Anspach unknowingly carried Magie’s torch by creating a game called Anti-Monopoly, which rewarded players for trust-busting. It was via a very long lawsuit with Parker Brothers that Anspach unearthed the game’s buried history—and through reporting on a wholly unrelated article that Pilon became aware of it. I spoke with Pilon by phone about this complex, multi-layered story, her reporting and writing process, and the surprising Monopoly tricks she discovered. You came across this story while reporting a Wall Street Journal article in 2009. Can you tell me how that all came about? Sure. I was a reporter on the Money & Investing team, and as you probably remember, in 2009, there was just one depressing story after another. We all, kind of by default, ended up doing a lot of unemployment coverage. So I wrote a story about Ralph Anspach’s lawsuit and Monopoly’s history. Usually, when you lock up a story, you’re kind of sick of it, right? You’re totally exhausted, and you know way more than you ever would have printed. But when the story closed, it was the first time I felt like I still had questions. And so I started reporting it from there on out. Why was this the one story you couldn’t let go? I asked myself many times as I was reporting the story, “Why hasn’t anybody else done this?” And the further I got into the weeds with it, I realized it was because it’s really complicated, there are a lot of angles, it involves business and law and history and humans. There was a narrative that I was very sucked into. It’s not a book about board games, it’s a book about people. Also, a lot of my writing has a business bent to it, and I love history—I have always loved U.S. history. So it blended a lot of things that I was very interested in anyway. As I went on with the process, I had a lot of people read drafts of the book who weren’t journalists: screenwriters, family members, people who were novelists, people who couldn’t care less about books. And I read up a lot on screenwriting to help me work out the structure. Because the amount of time it takes for somebody to read a book—it’s just a tremendous ask. I love reading a book that I love, but when somebody wastes my time, I get a little upset. I think my original draft was maybe 50,000 words longer. And I knew it had to be trimmed down. Sometimes people—especially with historical books—think, “the longer the better.” I’m the opposite. I was kind of set on making this 100,000 words. I thought, yes it’s a century of history, and yes there are all these plot lines and all these characters, but it needs to be digestible. And I love the idea of making history and this story digestible to people who might not even realize they’re getting sucked into learning about that stuff. Mary Pilon. Photo by Nikola Tamindzic. Was there anything that you felt particularly upset about taking out in those 50,000 words? No, because most of it was kind of the throat clearing that you do as a reporter. For example, I had to learn a lot about patent and trademark law, but in a narrative book, that really drags things down. And I really didn’t want to make it a business school or law school textbook, so I cut a lot of that stuff. I was pretty happy to take a weed whacker to it, to be honest. But it’s funny, now I’m actually doing some freelancing where I can weave in some of the knowledge I cut out. I don’t believe in wasted knowledge. I feel like there’s reporter karma and all those phone calls you have with people you don’t quote in a story, or documents you come across that don’t end up in the final story, they all help to inform something or come back in all these interesting ways. The book starts in the ’70s, when Ralph Anspach comes up with his Anti-Monopoly board game in a fit of anger about the OPEC monopoly and the oil crisis. The book then moves back in time to Lizzie Magie’s original invention of The Landlord’s Game, Monopoly’s antecedent, and then makes its way forward in time up to and then through the point where the story began. How did you come to that structure? When I started reporting, because it was so unwieldy, I was just making a timeline of what happened. Writing it chronologically first was really, really helpful. Once I started getting a handle on the facts and the reporting, I started writing scenes. I would take note cards and put a scene on each, and then kind of shuffle them around. And I think, even when I was writing the story, I had various Word documents where I would just copy and paste and move things around. It was like playing with Legos as a kid. But before the book gets to Ralph, it actually opens with the myth that Charles Darrow invented Monopoly. Originally, I think I wanted to open with Ralph, but it turns out that starting with the Darrow myth was a little clearer, because that’s how most people are introduced to the game of Monopoly. So it ended up mimicking how people are actually told the story—or mis-told the story. In an interview you gave about a New York Times piece you’d written, Tomato Can Blues, the interviewer asked for your advice to fellow journalists. You said, “It sounds obvious, but try and report the hell out of a story and be okay with not knowing where a story is going to take you.” Which seems like the approach you took to your Monopoly reporting, too. Is that how you are in life—content with uncertainty? Or is it specific to your journalism? I think it’s hard to separate the two. I think that what’s so strange about this book is that in the five years it takes you to do something like this, a lot of life happens. Right? And there are things you can predict and things you can’t. I couldn’t have predicted I was going to chop off a foot of my hair and go on X number of bad dates and switch jobs twice and then get laid off from The New York Times two months before my book tour and go to these people’s funerals and these people’s weddings. I think that for me, particularly in the last six months to a year, embracing uncertainty has been a huge personal lesson. With the book and with my career, quite frankly, I don’t know where it’s going. When I first got laid off from the Times in December, I was terrified. I found out at 10 a.m. on a Tuesday, and I didn’t know what to do with myself, so I stepped outside the Times building and went to MOMA. I was like, “I just need to look at people making things. I need to look at pretty things and people looking at them.” The Matisse cut-outs were on exhibit. You look at that and you think, “Here’s a guy towards the end of his life and he can’t stop creating.” Somehow, in spite of war and huge things that are way bigger and crazier than layoffs, things get made. But I don’t know where it’s going. I don’t know where I fit into that, and I think that needs to be okay. Maybe in six months when I’m, I don’t know, running my dog farm or something, I’ll feel differently. But I think that that’s something you have to embrace if you’re going be working in this profession. I guess it’s a tax you pay for getting to do the creative part of it. In the book, you chart how in Lizzie Magie’s original iteration of the game, she devised two sets of rules. 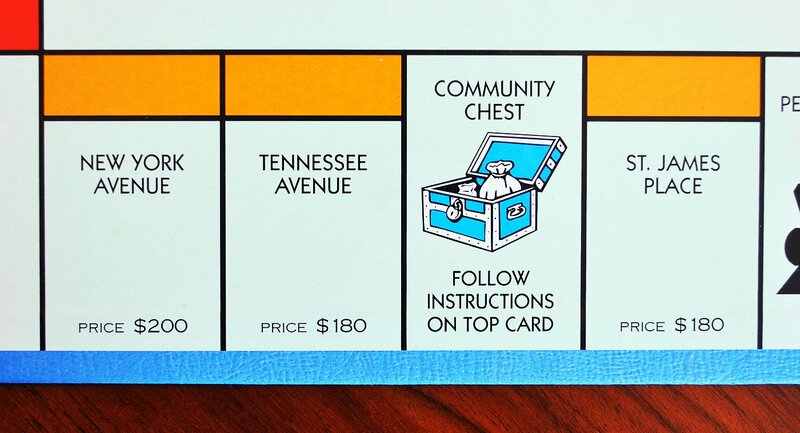 There wasn’t only the pro-monopoly set that we play by today—there was also a parallel set of rules that rewarded players for spreading wealth, which was in line with Lizzie’s political beliefs. I think that will surprise some readers. Yeah, it’s so ironic, right? We don’t really know why the monopolist rule set took off more than the anti-monopolist set, but I do find it kind of revealing and funny. Do you have any thoughts about why it did? Well, I think that there is a theatrical element to board games. They allow us to do things in real life that we can’t do ordinarily. And being a monopolist and clobbering everybody, that’s something most of us don’t get to do every single day, let alone with friends or family involved. I think there are a lot of examples of things in pop culture that are pretty crazy and horrible. I mean, think about horror movies. Why do we go sit and watch these things and do these things? I’m not a psychologist, but I think on some level we’re curious, or looking for a cathartic release, or they represent extremes of parts of our personalities. So I think that the monopolist rules play into that, right? There is something about Monopoly, in particular, that brings out aggression and vitriol and competitiveness. At least, it did in my family. Absolutely. It’s been very funny to hear people’s personal stories about this because you’re right, it does get totally insane. A friend of mine whose brother is an Olympian was like, “You never want to play Monopoly with my brother.” I realized, of course athletes are horrible to play board games with! In my family, we play Settlers of Catan a lot, too, and on Thanksgiving my cousin had to issue a handwritten apology to his uncle because of stealing his ore. And my cousin is in his 30s, by the way. We all love each other, we all get along, but it’s totally insane. I wanted to talk about the tone of the book. You didn’t presume your readers would have a deep knowledge of American history, and clued us in at various points along the way, sometimes with basic information. How did you decide to include that level of background? I struggled with that a lot, how much history to include and how much background and context, because I didn’t want it to weigh down the plot, but I still wanted people to understand. A lot of readers, I knew, were going to be very smart and sophisticated. So everybody knows in the early ’70s, somebody in the Bay Area would be talking about the Vietnam War and Watergate. But you kind of need to remind people that that’s what’s in the air. So the history I included was meant to be a reminder. It was kind of more of a weeding job than it was creating an encyclopedia. In my reading, we were meant to root for Ralph Anspach in his fight against Parker Brothers. Did you come to this with an anti-monopoly bent? Did it emerge through the reporting, as you became captivated by Ralph’s story? Well, Ralph had a lot of advantages. This is the first project I’ve ever done where the majority of characters, or a lot of them, at least, were long since dead. And Ralph is, God, we should all hope to be as feisty in our 80s as he is. I mean, he has more energy than children I know. He’s incredible. 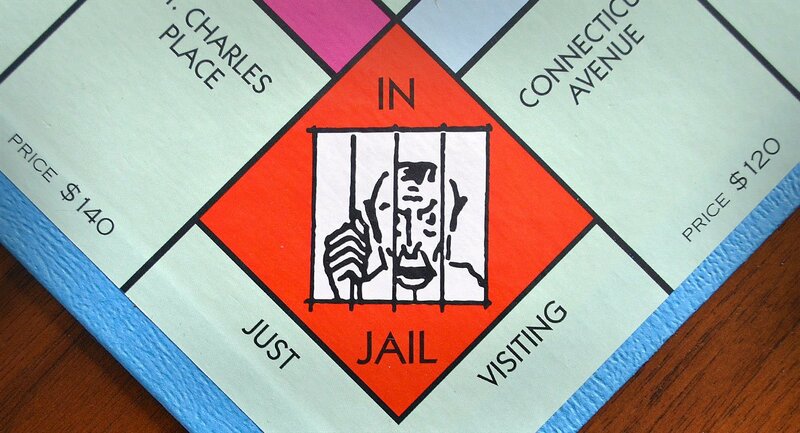 In his legal case, and in his perspective, the antagonist was Parker Brothers. But I also wanted to learn about the history of this company, because I think that it’s really easy to paint in black and white, but the truth is there is a lot of grey. So getting an understanding of who George Parker was and how he built his company and that whole chain of events where the sons were dying—I mean, they were real people, too. I tried to be careful not to just say, “Oh, they’re this evil giant company,” because in my experience as a journalist, I know that’s often not the case. They’re real people making real decisions and they have a real stake in various outcomes as well. So Ralph was kind of the original in to the case and he unearthed this whole story, but the fact that Parker Brothers had a complicated history made the story more compelling to me. I’m going to say something a little rude. I agreed with Ralph’s case and his anti-monopoly bent and was really moved by it. But at the same time, I wondered if, in person, I would find him a bit annoying. You write sympathetically about friends of the family—of Ralph and his then-wife Ruth—who snubbed them, “their patience for hearing about legal battles having worn out.” And I thought, well, if I had a friend who was single-mindedly obsessed with his legal case and couldn’t find anything else to talk about, I would find that pretty tiresome, too. So as much as I agreed with his case, I wondered about his relationships with family and friends in the face of it—if maybe he couldn’t see beyond it. In person I find that Ralph—and again, I stepped into the picture way late; he was in his 80s the entire time I was reporting this—he comes off as very professorial. He basically became a paralegal because of this case, and before that he was an economist. So he is no stranger to taking complicated things, synthesizing them and then talking about them and being able to explain them. So he doesn’t come off as an angry person or eccentric or anything like that. There were some moments during the case when he was definitely friendly with opposing counsel. He was very endearing to a lot of reporters who covered this story at the time, some of whom I interviewed. And when he was talking to me, I felt like I had to understand his motives a lot more. His sons, William and Mark, both described how in their house there was always a crusade of some kind, whether it was rallying against the Vietnam War or this big lawsuit. So I think that Ralph and Ruth [who later divorced] were both very purpose-driven people, and even when the anti-Monopoly case consumed the household, Ralph was consulting with his wife and his children about how they should move forward. Ruth unfortunately passed away a couple years ago, but I interviewed her, and she was very much on the same wavelength with him in turning down this original settlement, and a lot of the key decisions about the case. Parker Brothers is now owned by Hasbro, and in the appendix to the book, you say that you couldn’t get access to any Hasbro executives for interviews. Did that hamper the reporting process? It’s always frustrating when somebody says no, they don’t want to participate. And anybody who has written knows that you often get a lot of nos in journalism, and the show must go on. You still have to write your story. Hasbro acquired Parker Brothers in 1991, so a lot of this story happened way before they came into the picture. The Anspach case hatched open all these documents, including letter exchanges, so whenever I had a chance to give somebody a voice though those, I did. When a company isn’t going to comment, isn’t going to engage with you, you have to—you want to be as fair as possible, always. So in that case I wanted to go off of what I did know and what I did have. There was also enough written about Parker Brothers that I was able to piece it together. Do you think this will be turned into a movie at some point? Because I do. Well, thanks for the good mojo, I appreciate it. There is a producer attached to it, and it is in discussions, but nothing has been finalized. But I think like anybody who has written a book, if you read every review, every Google alert, everything that comes out, you kind of like tense up a little bit at first. The movie process was like that, too, where there is so much talk, there is so much excitement—and now I’m kind of like, “All right, when somebody is on board, great, let me know.” I feel like, I wrote a book, that was my job, so that’s out there. To get into some of the nitty-gritty of the game itself, I was shocked to read that a game of Monopoly, when it’s played according to the actual, written rules, usually lasts less than 90 minutes. That was insane to me. Right. [Laughs] Lives are changing. It’s funny how most people don’t read the Monopoly rules. I have board game nights where I invite my friends over, and a lot of times, people come from different parts of the country and bring their own rules. People tend to inject a lot of cash into the game, and that makes it go longer. It’s pretty much that simple. Beyond that, there are little ways you can modify the game if you want it to go faster, like distributing the properties at Go—shuffling them and handing them out like you would if you were playing poker. I had never heard of the rule that you’re supposed to auction a property off if a player chooses not to buy it. That was news to me. Yeah, yeah, absolutely. And that makes it go faster, too. Monopoly is so multigenerational at this point that people feel like they already know how to play it. It’s kind of like checkers or chess, but the rules happen to be complicated. So I think people just don’t read the rules because you learn it as a kid and you don’t think about it. Not to get too existential about it, but it’s kind of like the history of the game. Who thought to question it? Who thought to read the rules? Of course, none of us did. You mention research showing that the orange properties are actually the most lucrative on the board, which was also surprising. Right, right. Some of that’s traffic. That strip as you head into jail is pretty great. And also, it’s expensive to build on Boardwalk and Park Place. Plus, there are three oranges, and two blues. I feel like this is dangerous knowledge for people to have, that the oranges are more lucrative, don’t you think? [Laughs] Right. Monopoly, from a technical standpoint—I hear from a lot of game design geeks that the game is terrible. And I think it’s like there is a valid case to be made against Monopoly. Maybe this is just my experience, but when you play with people with different experience levels, the game can get lopsided. And to me, the game is the most fun when you have people who are really into the deal-making aspects of it. My dad does not want to do deals. He never wants to do deals. So it’s boring to play with him because if you skip the oranges, that’s it. When you play with people whose tactics are so lock set, that makes it a little more challenging. As a freelancer, I was really intrigued by the section of your acknowledgements in which you devote an entire page to thanking coffee shops you’ve worked in. [Laughs] Yes. So I—until very recently, obviously—worked in either the Journal‘s newsroom or the Times’. But like any reporter, you spend a lot of time out of the office, too. So you write stories in cars, you write them in airports, you write them on planes—especially with sports, you’re just out and about a lot. So coffee shops are a reporter’s best friend, because you have Wi-Fi for free, caffeine, food. Sometimes I need absolute quiet to write, but often I need some kind of ambient noise, or to be reminded that there are other human beings. You’re not just writing to this screen, you’re writing for people that walk around and might buy your book some day, or hopefully will. And so coffee shops have been really vital. Plus, I’ve worked food services before and it changes the way you see the world. You watch what people, especially in a place like New York, who work in coffee shops go through. And I just think they’re heroes. People tip horribly and they’re crazy and they’re weird and they’re sometimes really mean. One day, when I’m a gazillionaire, I want to be that person that leaves a five hundred dollar tip everywhere I go. But I felt like, what can I do? And one thing I can do is thank these coffee shops. It’s a small way of saying thanks for putting up with me as I sat in my sweatshirt, pulling out my hair, agonizing over the second half of my book. Speaking of your own work in food service, I read that you were a singing ice cream server? Meaning that if somebody tipped, you would sing a song? You sling one, we sing one. This was in Eugene, Oregon, where I grew up. I still love ice cream as a byproduct of that. Like handmade ice cream? I know it’s February, and I just came from Boston, where there are epic amounts of snow everywhere, but I will eat ice cream as a result of that job any time, absolutely any day. Also, my dad, among other things, worked as a Santa. I ended up having to be the elf a lot. I’ve had some really weird gigs. As a journalist, I now write about people with interesting, crazy jobs. I feel like this whole job is a boondoggle—you get paid to learn about things and write about them. How fantastic is that? I’m happier writing about singing ice cream servers, I think, than going back to it.